Alzheimer‘s disease (AD) is characterized by large numbers of senile plaques consisting of amyloid beta protein (Aβ). 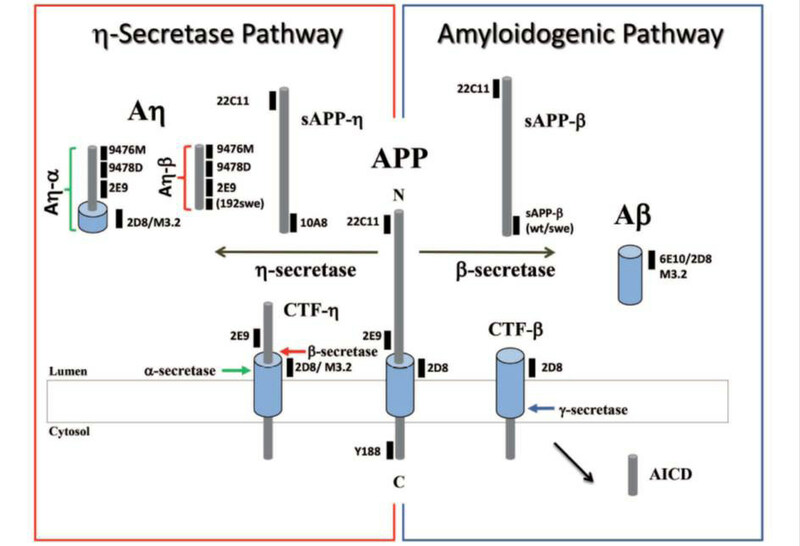 Aβ results from amyloid precursor protein (APP), which is cleaved by β-secretase and γ-secretase. The APP processing pathway is therefore a prominent target of current therapeutic appro- aches like secretase blocker or inhibitors that prevent aggregation of amyloid plaques. Here a new physiological APP processing is described, which generates proteolytic fragments capable of inhibiting neuronal activity in the hippocampus. This discovery offers new opportunities for therapeutic and diagnostic approaches, and should be considered in current therapy strategies.